If you were arrested for DUI in Florida, the arresting officer probably asked you to participate in a series of field sobriety testing or exercises. The tests originally were developed by the National Highway Traffic Safety Administration (NHTSA). Throughout the years, NHTSA has continued to stand by these exercises as a reliable way to gather evidence against a person accused of DUI. If you decline the officer’s request to take the field sobriety exercises, the officer usually will warn you that he or she will have to make a decision on whether you are under the influence of alcohol without this additional information. The officer also might warn you that refusing to take the field sobriety exercises can be used against you in court. Nevertheless, the exercises are voluntary, and you are not required to perform them. Officers might also ask you to perform the finger-to-nose exercise. In many cases, the driver’s performance on these exercises will be recorded on video. The driver’s Tallahassee criminal attorney can demand a copy of the video prior to trial. That video of the roadside exercises often is the most important piece of evidence in the case. If you were arrested for DUI in Tallahassee or Leon County, contact an experienced criminal defense attorney at . Our attorneys represent clients charged with DUI throughout Leon County, Wakulla County, Jefferson County, Gadsden County and the surrounding areas. Call (850) 681-7777 to find out how your performance on field sobriety testing might impact the prosecution of your case. Officers often subject a person to the horizontal gaze nystagmus test, but they are not always allowed to testify in court about their observations. Many courts in Florida have ruled that unless the officer has been certified as a Drug Recognition Expert or undergone other training by medical professionals, then the test is not scientifically reliable or admissible in court. For the test, the officer will use a pen or other straight object and move it from side to side in front of the subject. The officer will look to see if the driver’s eyes can smoothly track the pen as it moves. The officer is looking for an involuntary jerking of the eye that occurs naturally when the eyes move from side to side. The officer also looks for distinct jerking when the eye is at maximum deviation or if the jerking begins prior to a 45-degree angle from the center. The nystagmus typically is more exaggerated in individuals who are under the influence of alcohol and certain controlled substances. The walk-and-turn exercise is a “divided attention” tests that requires a person to perform physical movements while listening to and following instructions. During this exercises, the driver is asked to take nine heel-to-toe steps down a straight line. The officer will instruct the person to turn in a certain manner and then take nine steps back down the line. uses his or her arms for balance. Like the walk-and-turn test, the one-leg stand exercise is a “divided attention” test. In this test, the DUI suspect is asked to raise one foot approximately six inches off the ground while counting aloud by thousands until told to put his or her foot down. The officer will then time the subject for 30 seconds. The officer is trained to look for certain clues of impairment, including whether the person sways or hops, puts the foot down, counts correctly or uses arms for balance. The finger-to-nose test is not approved by the NHTSA. No standard guidelines exist for administering the test. Instead, the instructions and scoring methods for the test vary widely from jurisdiction to jurisdiction and officer to officer. In Leon County and the surrounding areas, the officer often will ask the subject to stand with his or her feet together, head tilted back and touch one finger to the nose when instructed to do so by the officer. Tallahassee Police Department’s DUI – Find information on field sobriety testing for the Traffic Enforcement Unit of the Tallahassee Police Special Operations Division. One officer is assigned as the DUI Enforcement Officer who works at night. TPD also has a DUI and Traffic Safety Program Coordinator who manages the FDOT traffic safety grants and performs the monthly agency inspections on the Intoxilyzer 8000 machines used on DUI suspects arrested throughout the City of Tallahassee. In 2011, MADD Florida awarded the Tallahassee Police Department with First Place for the Outstanding Dedication to DUI Enforcement award. NHTSA/IACP Standardized Field Sobriety Testing in Tallahassee – Law enforcement officers throughout the state of Florida often attend a 24 hour NHTSA/IACP Standardized Field Sobriety Testing course. The 24 hours SFST are only open to current law enforcement officers in Florida and assistant state attorneys. The officers and attorneys in the class learn methods and techniques to recognize and interpret evidence of DUI violations. The course includes two wet labs with live subjects. The standardized field sobriety testing courses often are taught at the Tallahassee Community College, which also offers DUI training courses and traffic safety courses. If you have been charged with a DUI in Leon County or the surrounding counties, contact a criminal defense attorney at Pumphrey Law. The attorneys at Pumphrey Law will examine the evidence in the case, including the field sobriety exercises law enforcement officers asked you to perform. 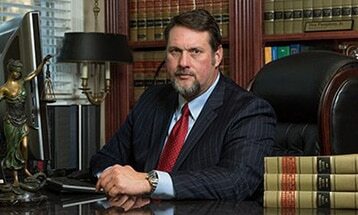 The Tallahassee DUI defense lawyer at Pumphrey Law will aggressively defend you. Call (850) 681-7777 to schedule a free consultation.